Dating back to the very first years of European settlement, Maine’s small villages are both historically interesting and abundant in natural beauty. The jagged, irregular coastline of the northeastern state of Maine is positively bursting with picturesque and charming towns that are waiting to be explored and admired. The inlets and archipelagos of its shoreline are a joy to discover by boat, whilst inland Maine features many lakes that attract tourists in the summer. A few small towns in Maine sit at the gateway to its vast northern forests. But which of its pretty towns are most charming? Let’s have a look. Dating back to the 17th Century, Boothbay Harbor has seen its fair share of history – from British colonial to the industrial period of the late 19th Century, with its lobster-canning factory and fisheries. 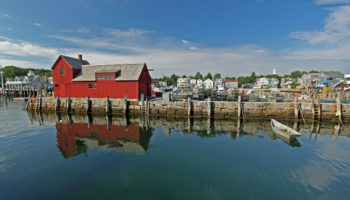 Set on the crumbling coast of Lincoln County, south Maine, with a population that only just exceeds 2,000 people, Boothbay Harbor is as picturesque a seaside town as you can imagine. 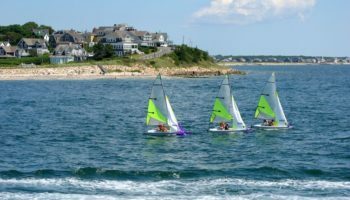 Visitors flock to Boothbay Harbor in the summer, where yachting around the jagged coast, islets and inlets makes for a fun but relaxing time on the sea. This charming town celebrates its maritime heritage every June with the impressive Windjammer’s Day. Elsewhere, Boothbay Harbor boasts the Coastal Maine Botanical Gardens, with simply beautiful grounds and gardens to explore. This inland town, close to the state line between Maine and New Hampshire, is a marvel of nature. Founded on a bedrock of hardworking sawmills and farmland, tourism arrived at Rangeley by the late 19th Century. People flocked from fledgling US cities to relax in the tranquil surroundings and go fishing in its spectacular lakes. It’s not much different today; Rangeley is the epicenter of the Rangeley Lakes Region, where tourists flock all year round for season-dependent activities. Most popular are its lakes, with an allure that sports-fishing enthusiasts cannot resist. With many shops and restaurants, Rangeley itself is as quaintly convenient as it is charmingly rustic. Tiny Monhegan is a settlement located on an island off Lincoln County. Monhegan actually means ‘out-to-sea island’ in Algonquian, which is apt, since the island is 12 nautical miles from the mainland. 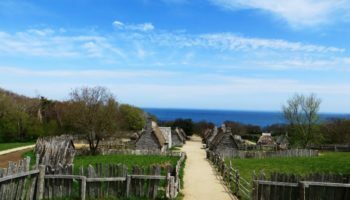 Beginning as an English fishing camp even before the Plymouth Colony was established in 1620, Monhegan has been through pirates, trade, wars and fishing, which is still its main economy. Given its remote location, the stark sea views from Monhegan, and the jagged and green island itself, you might be able to understand why this truly charming town became a thriving artist’s colony. 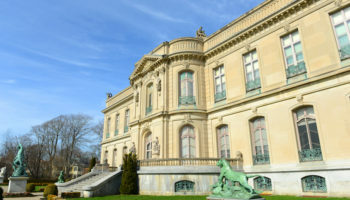 Already well-established by the early 1900’s, the dramatic cliffs and pine woods continue to attract artists to this day. The coastal town of Castine in Hancock County is set on a promontory into Penobscot Bay, with beautiful views across a series of inlets and coves. This small, picturesque town was the capital of the French colony Acadia from 1670 to 1674 – later conquered by the British in 1710. The long history and capital status of this town has produced many heritage buildings for visitors to discover. There’s Dice Head Lighthouse, for instance, dating back to 1839; the pretty Unitarian Universalist Church built in 1790; the USA’s oldest post office still in operation (established in 1794); a handsome collection of 1920’s buildings that comprise the Wilson Museum; and then there’s the charming rows of picture-perfect hotchpotch houses along Castine’s Main Street. With the undulating Damariscotta River to the west and the tranquil Lake Pemaquid to the east, Damariscotta is characterized by its laid-back lakeside lifestyle – especially in summer, when swimming in the lakes, boating on the river and fishing become popular pastimes for residents as well as the many tourists that flock to this charming town. Damariscotta is famous for its fresh seafood: Pemaquid oysters and local mussels are served up in the local restaurants. The town is made ever more charming by its slew of picturesque historic buildings, including Chapman-Hall House (the town’s oldest, dating from 1754) and the brick-built Lincoln Theater. Nearby is also the Whaleback Shell Midden, dating back over 2,000 years! Located on Mount Desert Island – the largest island off the coast of Hancock County – is the small but famous town of Bar Harbor. This place was previously a popular summer colony for the rich and powerful, but a fire in 1947 destroyed its five grand and historic hotels, plus 76 palatial residences on the so-called ‘Millionaires’ Row’. However, Bar Harbor remains popular to this day. Vestiges of its illustrious past still exist. For example, there’s the Mira Monte Inn, a stunning Victorian ‘cottage’ turned hotel. A pleasant stroll along Bar Harbor’s Mount Desert Street reveals an illustrious past recalling the splendor of the USA’s Gilded Age, with many historic and beautiful buildings. 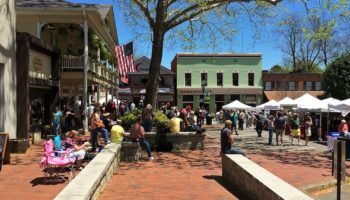 With its small, pretty harbor and impressive selection of historic buildings, Rockport in coastal Knox County is an almost impossibly picturesque place to visit. The town even features its own Rockport Historic District, which showcases residential and commercial buildings of yesteryear. As you may expect, this is a very charming place to take a stroll around and discover Rockport’s past. Even more famous than its architectural heritage and pleasant harbor views are the collection of Belted Galloway cattle at the 136-year-old Aldermere Farm. This landmark is a popular tourist destination, where visitors are given the chance to tour the farm and get up close to the affectionately named ‘Oreo cows’ themselves. Situated in York County on the Gulf of Maine is the popular resort town of York. This historic town was first settled by Europeans in 1624 and – like many coastal towns along the shoreline of Maine – features many sites of historical interest. The oldest portion of Old York Gaol, for instance, dates back to 1720; then there’s the 18th Century John Sedgley Homestead – one of the oldest in the state. 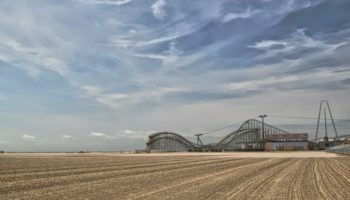 But York isn’t all about history; together with York Harbor, York Beach and Cape Neddick, it comprises an area known collectively as ‘The Yorks’. Here, visitors can hike at Mount Agamenticus, have fun on one of its four beaches, or play golf on one of three courses. Wooden houses line the glassy water, a collection of little boats bob next to piers, green trees contrast with jagged rocks – Stonington looks about as charming as you can get in a small town in Maine. Situated on the southern end of Deer Isle, off the coast of Hancock County, it simply radiates charm. People are attracted to Stonington for its picturesque setting, which lends itself to boating in the calm bay, hiking in the Crockett Cove Woods Preserve, or exploring the islands between here and Isle au Haut. Besides tourism, however, Stonington is a huge player in the fishing and lobster industries, leading the state per pound and dollar of catch and sales. The town of Greenville, situated in Piscataquis County, is the gateway to the wilderness that is famous in the state of Maine’s far north. It is situated on the southern shore of Maine’s largest lake, Moosehead Lake. Naturally, the main activities at this lake-side town are water-based. Visitors can go boating on the serene waters of Moosehead Lake or indulge in a spot of fishing. Aside from that, visitors can hike to the top of Mount Kineo for some supreme views of the surrounding area. But it’s not only about summer, spring is the prime time for moose-spotting, whilst winter activities include dog-sledding, ice fishing and cross-country skiing. 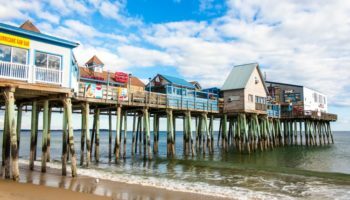 Self-described as ‘The Jewel of the Maine Coast’, Camden is a small town in Knox County that’s very popular with northeastern city-dwellers, who visit in summer to kick back and relax in its truly charming and picturesque setting. 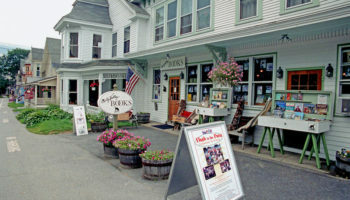 As with other coastal towns in Maine, its Main Street features shops, boutiques, cafes and restaurants housed in pretty, wooden historical buildings. 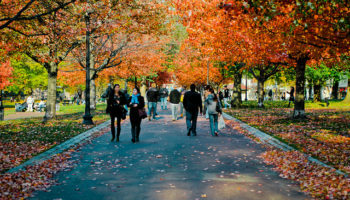 Surrounding the handsome brick-built Camden Public Library is a picture-perfect park, where visitors can picnic and chill out, watching the world go by. 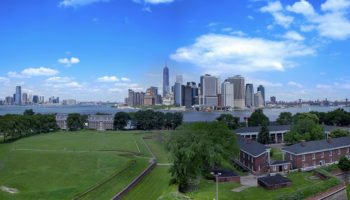 For those who want to get out and about, day trips to nearby islands reveal the quaint beauty of the town when viewed from out in the bay – as well as the beauty of this variegated coastline and its archipelagos. Situated in York County, the town of Kennebunkport is a popular summer destination, and tops our list of the most charming small towns in Maine. First making its fortunes on shipbuilding, this industry soon gave way to tourism once northeastern urbanites discovered just how beautiful this slice of coastline truly was. Boating trips and fishing are popular here – as are its beaches. 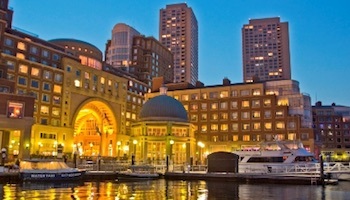 The Dock Square area features many souvenir shops, galleries, and seafood restaurants – all set in charming buildings that feel authentic in their New England style. Included as part of Kennebunkport is the tiny village of Cape Porpoise. Easily reached from town, this settlement, with its sparse housing and lonely lighthouse, feels remote and peaceful.